Dolores Cannon’s career has spanned over 4 decades, during which she has worked with thousands of clients in regressive hypnotherapy sessions. With over 17 published books on the subject, Dolores Cannon can easily be considered one of the world’s most sought after professionals in the field. Popular subject matter touched upon in her numerous books include: past lives, extra-terrestrials, life on other planets, energy healing, famous historic figures such as Nostradamus and Jesus, abductions, and the list goes on. Each book has the tendency to “bend the reader’s mind like a pretzel,” Dolores explains. One of her latest books, titled The Three Waves of Volunteers and The New Earth, is an ensemble of regressive hypnotherapy client sessions which narrates a ‘behind the scenes’ look at Earth’s current paradigm shift. “When you see thousands and thousands of clients, as I do as a therapist and a counselor, you begin to see a common thread going through many of the cases. “Earlier on, it used to be that everybody would go back to a past life and I’d find some of the answers there, and then I’d explore the source of all knowledge to answer all of their questions and do the healing. Just in the last five years or so, I began to see clients who weren’t all going into a past life on Earth. Dolores’s theory proposes that a series of souls are traveling from other planets and dimensions to assist Earth at this time. Many of these souls, which are of a higher vibration than the resident Earth souls, are incarnating on the planet for the first time. She affirms that the souls that have spent many lifetimes reincarnating on Earth are stuck in a karmic cycle, repeating the same patterns of mistakes and lessons which is ultimately leading to the destruction of the planet. Thus, there has been a calling for purer souls to come to Earth to cleanse and raise the planet’s vibration. But now in body, these people don’t have any memory of why they came. Throughout her clients’ journeys, Dolores discovered that Earth is one of the densest planets in the entire universe. A soul that incarnates here is considered brave because life on Earth is a very challenging experience to come into, especially for souls coming from higher realms and planets of a higher vibration. Dolores Cannon has over 40 years of regressive hypnotherapy experience from which she’s acquired remarkable information about life in the Universe. The Earth is going through a major transformation, one that Dolores’s clients state has never happened before. 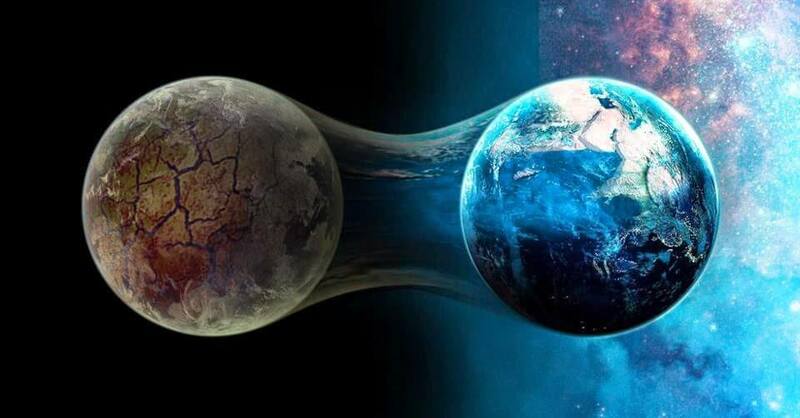 For the first time, an entire planet is shifting it’s vibration into a new dimensional frequency. Many souls or groups of souls have experienced a shift like this in the past, (i.e., the Mayans) but never has an entire planet shifted at once. Therefore, Dolores explains, the entire Universe has front row seats to one of the grandest shows ever seen. However, help is needed, because man has polluted the planet with a vibration so dense that it threatens the survival of the planet as a whole. Dolores reveals that if the planet blows itself up, it will reverberate throughout the universe affecting and disturbing all beings. Therefore, the call for help was made, and the souls quickly jumped on the wagon to assist. The Second Wave: Now in their late 20s and 30s, these volunteers are more comfortable in bodies and are said to be beacons or channels of energy who can affect others just by being near them. Their mission of just sharing their energy with others means they don’t have to do anything but just be. “Each time when people got to the point when they were using energy in the wrong way and couldn’t control it, they had to be stopped. And every time, everything would be reset on this planet. “The civilization would go back to the primitive stages and start all over again. That’s why they don’t want to have it happen this time. They don’t want to start over with the planet and begin life for humanity one more time. “During a hypnotherapy session, a woman went back to Atlantis and was telling me the prime reason for Atlantis being destroyed. I was told that there were scientists at the time of Atlantis. “There were others who were fooling around with what they called Dark Matter. I was told that this is the same thing scientists are doing now when they are fooling around with what we call Anti-Matter. They said we have to know this, because the scientists are doing the same thing now. “The Large Hadron Collider experiment in Switzerland is the same thing. They are messing around with Anti-Matter. The scientists who are now fooling around with the Collider experiment don’t have any idea what they are really doing, and it’s very dangerous. When asked about people’s criticism of her work, Dolores says she finds humor in people’s remarks stating she is a ‘great science fiction writer’. “There’s no way on Earth I could make this stuff up. I have  books out there now, and all of it has come through the cases I have worked on with the average person just walking in off the street. I did not know these people until they came through the door of my office, from every walk of life you can imagine: CEOs of companies, professors of colleges, priests, shamans, and many ordinary people. “We are moving into a new frequency, a new dimension where it is going to be the New Earth, and it’s going to be extremely beautiful. They have described it in the books – the beautiful colors, that everything is total love. “We’re moving away from the negativity of the Old Earth, and it’s going to be a complete turnaround, beyond belief, and we’re all going there now. The New Earth is where it’s at. The Bible in the Book of Revelations talks about the New Heaven and the New Earth. “That’s the same thing we’re having now. It’s just that St. John, when he had the vision on the Isle of Pathos, didn’t realize it was going to take another couple of thousand years before it was going to happen. For a fascinating read, check out Dolores’s books: The Three Waves of Volunteers and The New Earth as well as her Convoluted Universe series.